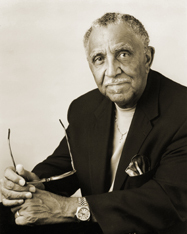 Editor’s note: Each year, Bishop Woodie White writes a “birthday letter” to the Rev. 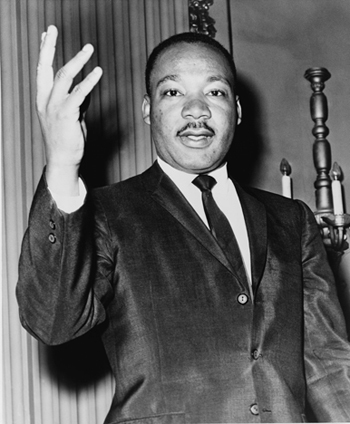 Martin Luther King Jr. about the progress of racial equality in the United States. White was the first chief executive of the General Commission on Religion and Race of The United Methodist Church. The United States will officially observe King’s birthday on Jan. 19. United Methodist Bishop Woodie W. White. A UMNS file photo by Mike DuBose. What a difference a year makes! Last year, I wrote with great exuberance about the election of the first African American to the presidency of the United States. Today, I am no less excited, because it demonstrated a significant step forward in our nation’s history. However, some pundits have wrongly hailed the election as an ushering in of a “post-racial” era! Events of the past year have dispelled that premature prediction. Martin, we have been sadly reminded of the depth of prejudice in the hearts and minds of many as the new president has taken office. Let me quickly acknowledge that not all criticism of the President or any person of color is automatically based on race. I well remember the day I realized some people did not like me, not because I was black, but because I was I! But we have seen the awful face of racism for so long that no matter how it camouflages itself, we know it when we see it! We have seen it these past few months, and it is no less ugly. Yet Martin, it is the face of a passing America. However loudly the voices shout and however strong they may appear, it is a last gasp! Most Americans are prepared to live in and work for a nation absent the kind of racial division that characterized our country for so long. At the same time, it is clear that the battle to end racial division in our nation is not yet over. We still have much work to do to replace walls of separation and prejudice with communities of love and justice. Too many people still are racially divisive. They exploit division, foster it and profit from it, some for political gain, others for personal and financial reward—and they come in all colors! And sadly, the seeds of racial prejudice have been planted so deeply in some that though it may seem dormant, it takes little to stir these people to act in hateful ways. So we must continue with efforts to heal our brokenness, to bring clarity to misunderstandings and to address our fears. Good people can never remain silent in the face of evil. History has taught us too well what happens when they do. It would be misleading on this, the anniversary of your birth, to give the impression that progress in the area of race has stalled. It has not. Every day, new doors open, old barriers fall, and hands and hearts reach across the racial divide. But it is not enough! The reality is that walls that come down can be rebuilt. Old hatreds can be reborn. That’s the problem with celebrating achievements too long and too quickly: Progress is never permanent. We need to continually nurture the good and challenge those elements committed to fostering ill will and division. One of the most meaningful signs this year, Martin, was the nomination and election of Judge Sonia Sotomayor of New York as the first Hispanic justice to the Supreme Court. 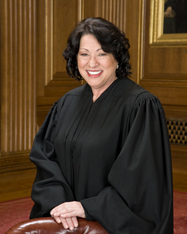 The daughter of Puerto Rican parents, Judge Sotomayor has a distinguished career and will bring broad law experience to the court. Permit me a bit of personal pride, Martin—we both graduated from high schools in the Bronx! And I dare not forget U.S. Attorney General Eric Holder is now the first African American to hold that office. Such “firsts” are becoming so routine, Martin, that they now gain little or no public recognition! Martin, nothing has brought me more personal joy, than the honor that came to our buddy, Joe Lowery, who continues to be an influential voice for social justice and human rights. He was chosen to give the benediction at the inauguration of Barack Obama as the 44th president of the United States. And it was a stirring one! Then on Aug. 12, he received the prestigious Presidential Medal of Freedom Award, the highest recognition the nation can bestow upon a civilian! 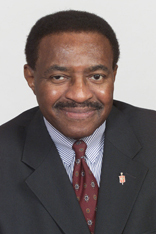 *Retired Bishop Woodie White is bishop-in-residence, Candler School of Theology, Atlanta.